Eli’s love for music and performance has always been insatiable. With the constant support of his family, friend, and teachers, Eli graduated from the esteemed Musical Theatre program at The University of Michigan. 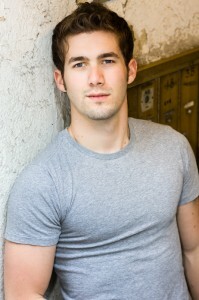 Residing in New York City, Eli is a proud member of both Actor’s Equity (2006) and Local 802 AFM (2011). Eli plays ten instruments, specializing in the ‘fretted’ variety such as guitar, bass, banjo, mandolin, and ukelele. He also enjoys the career as a successful actor, having performed on stage in New York City and in regional theatres across the country. In April, 2015, Eli premiered with Cass Morgan in her autobiographical self-written musical THE ROAD TO WHERE at Geva Theatre Center in Rochester, NY. Eli serves as both a performer and Associate Music Director for the production. Eli is currently a featured performer in multiple organized concerts that travel the country, including the Peter Paul & Mary folk revival concert group: A BAND CALLED HONALEE (www.abandcalledhonalee.com). Watch out! We’re coming to a city near you!